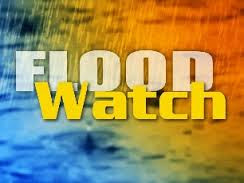 The National Weather Service has issued a flood watch for our region from June 20, 8pm until June 21, 8pm. Heavy rainfall from the remnants of Tropical Depression Bill is expected to impact the area tonight through Sunday evening. The heaviest rain is expected during the overnight hours tonight into Sunday morning, with rainfall totals of 1 to 2 inches and up to 3 inches possible in some areas. Residents are advised to monitor weather forecasts and make appropriate preparations, including moving their vehicles from flood-prone streets. Residents who have a parking permit decal or Temporary parking permit placard are reminded that overnight parking (8pm to 8am) is available at a rate of $5 every day of the year in Garages B, D, and Midtown. Barricades have been pre-positioned in case flooded streets need to be closed. For their own safety and to protect property, drivers must obey barricades and not drive through flooded roads. The wake generated by vehicles can cause additional flood damage to homes and businesses. Pedestrians should also not walk through flooded roads as manhole covers can become dislodged and flood waters contain a mixture of rainwater and sewage. A map of flood-prone areas and additional information is available on the City website: www.hobokennj.org/flooding.